For item 15.c. 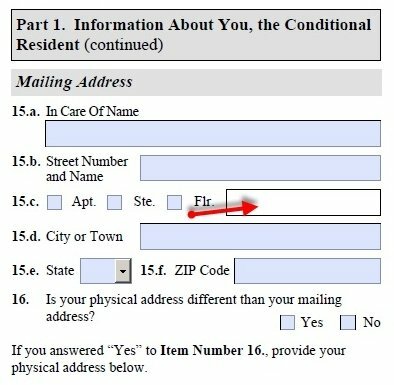 when entering your address, should the apartment number be entered in the box to the right of that item? See the red arrow in my print screen. Check Apt. then write the apartment # in the text box.